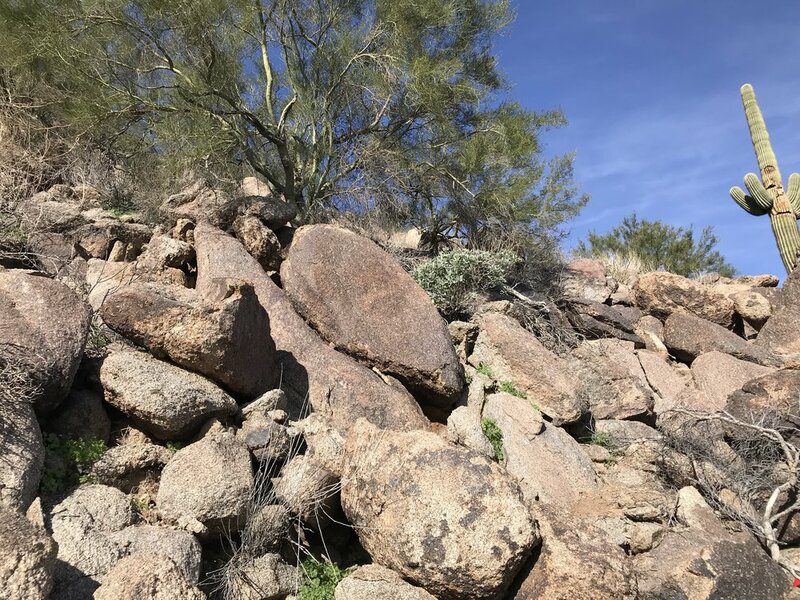 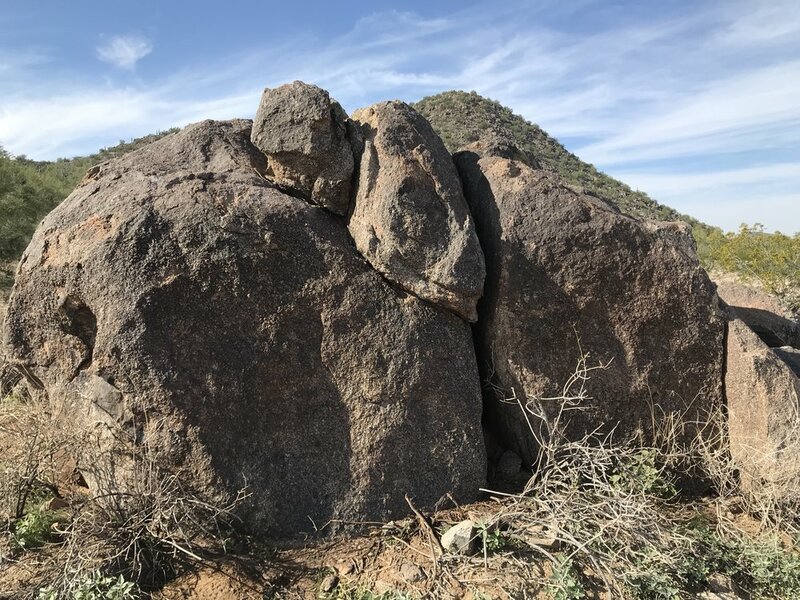 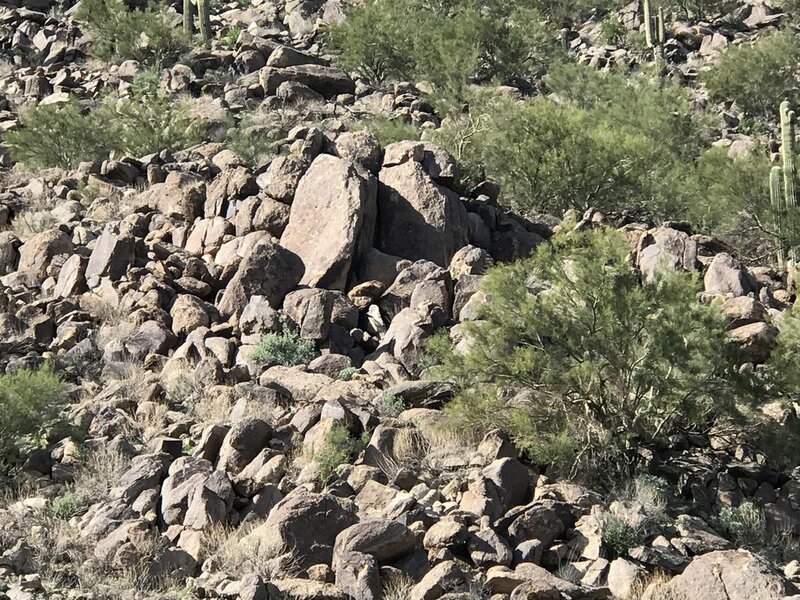 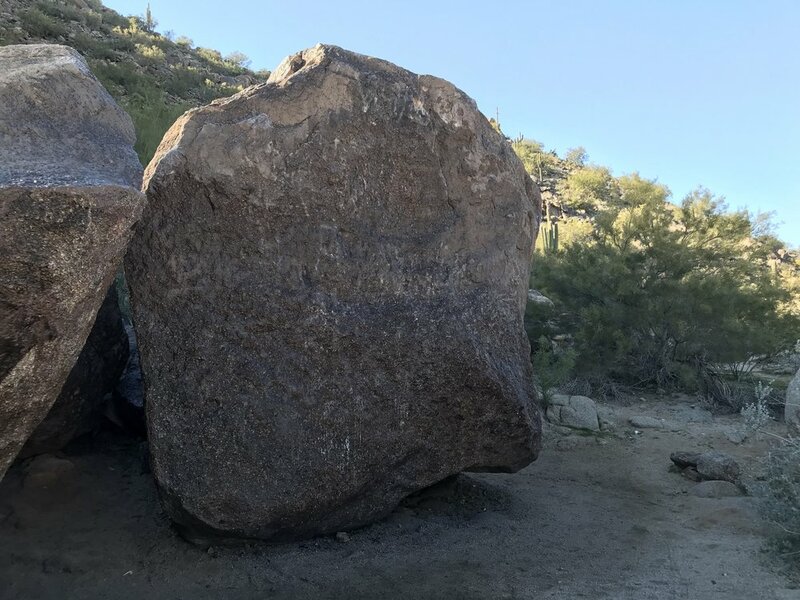 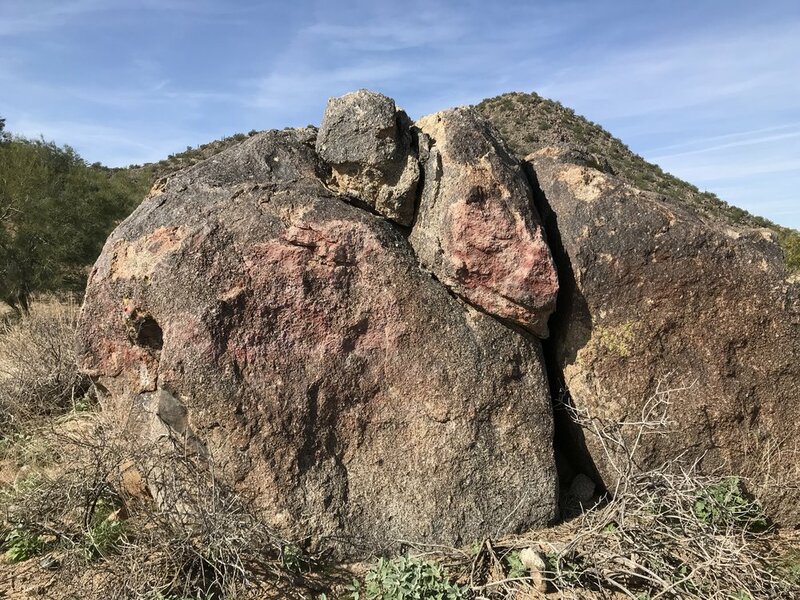 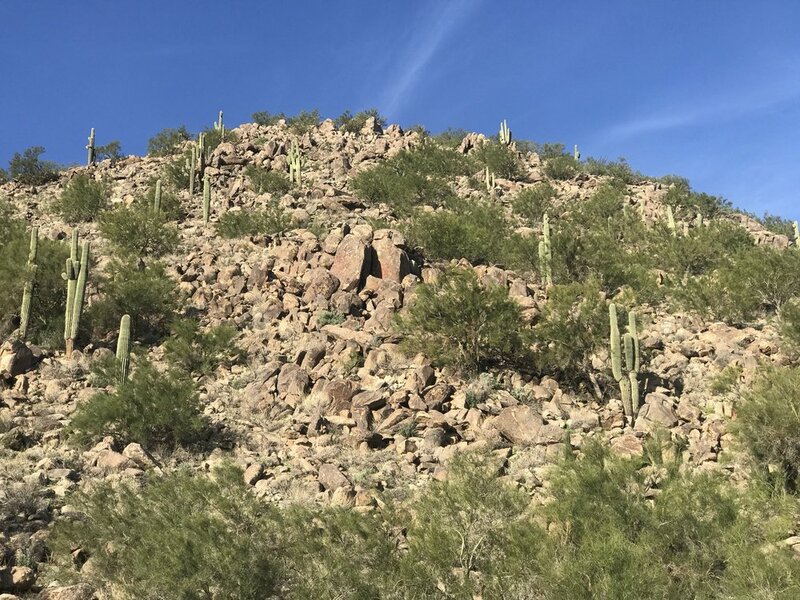 The Beardsley Boulder Pile is a beloved climbing and recreation area located in North Phoenix and was in dire need of our help! 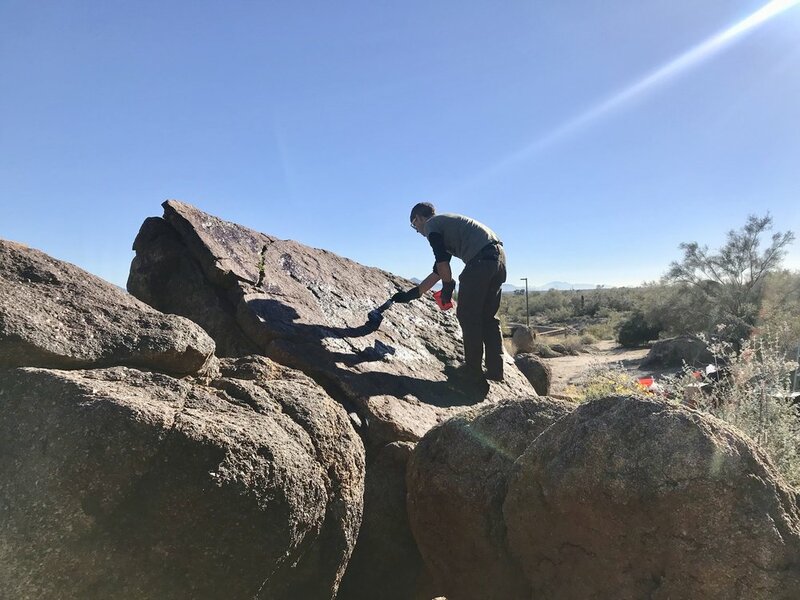 We teamed up with Scott McDaniel from REI and Josh Parnell from City of Phoenix Parks & Recreation to remove graffiti painted on the Beardsley Boulders, as well as removing multiple layers of graffiti cover-up paint (and the many layers of graffiti from all sides of several large boulders). 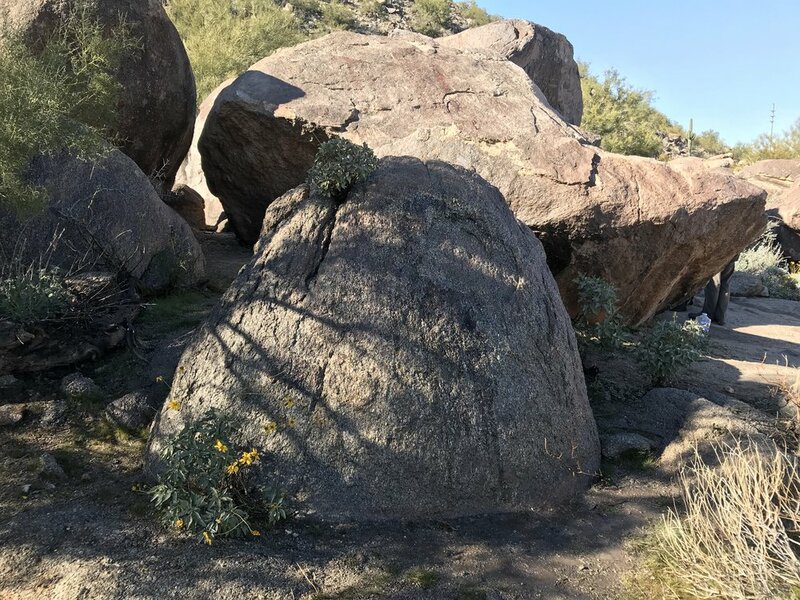 In 6 days, we received $2,698 in donations from the community to purchase supplies needed to restore these boulders to their natural beauty. 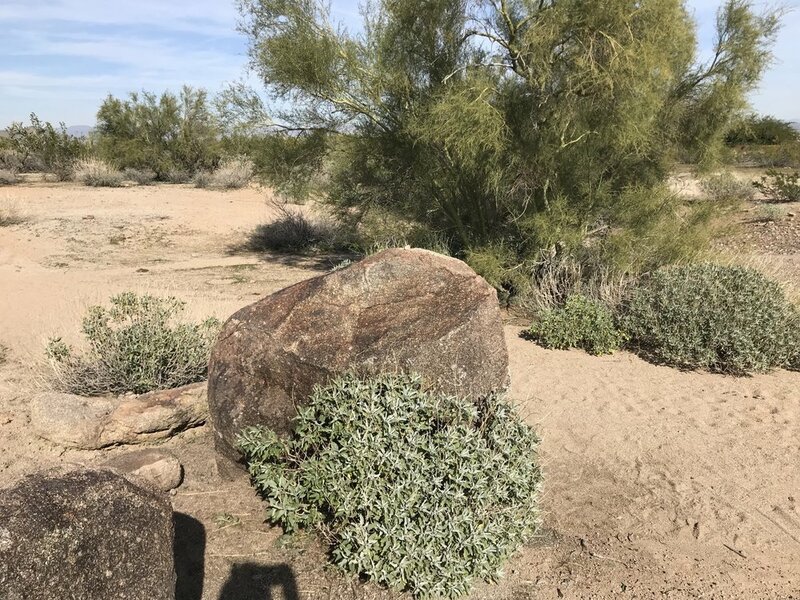 Thank you so much to everyone who donated! 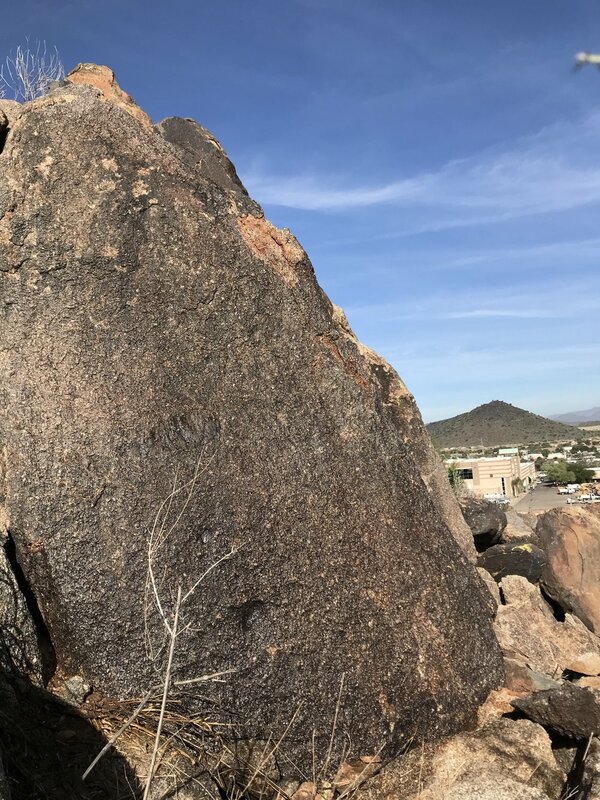 In February 2018, we started the project with cover-up removal testing on the face of Pencil Thin (pictured above). 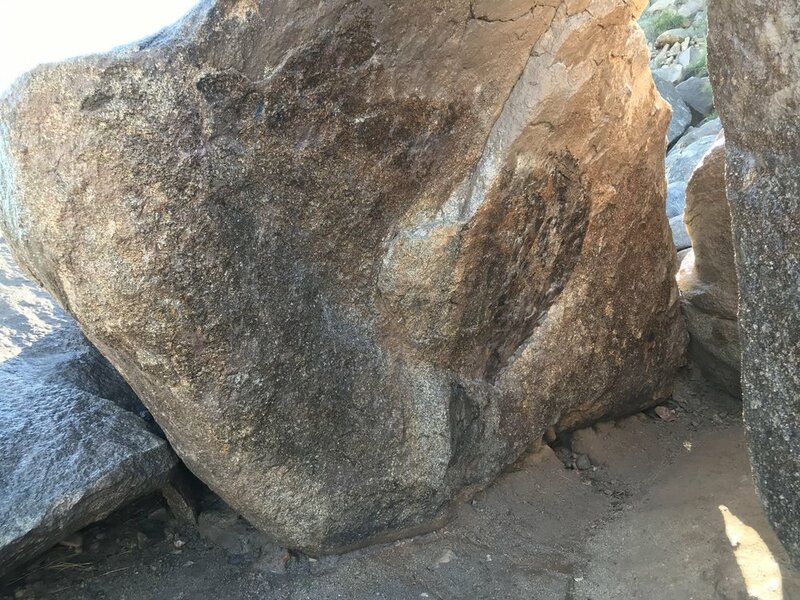 This entire boulder, along with many others in the area, was covered on all sides from top to bottom in layers of coverup paint (that's a 6 foot ladder next to the boulder). 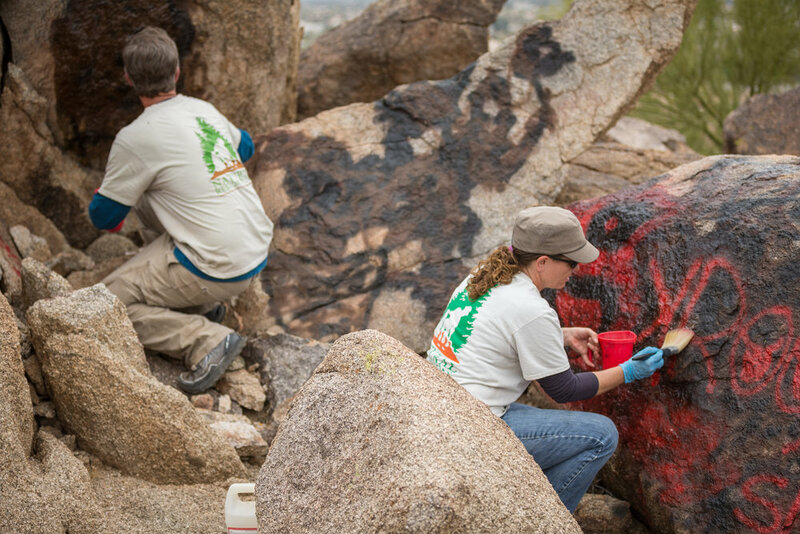 The first day, we removed most of the first layer of coverup paint. 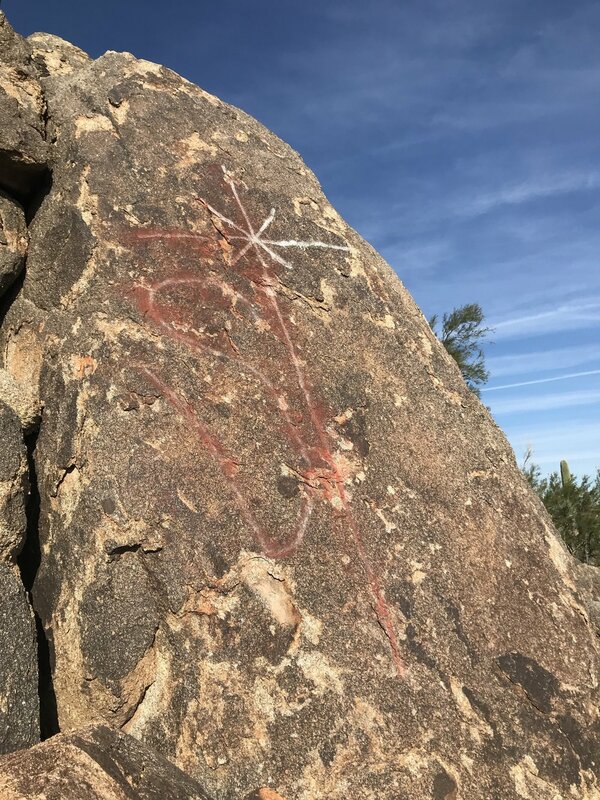 The next day, we went back to remove the graffiti that was underneath the coverup. 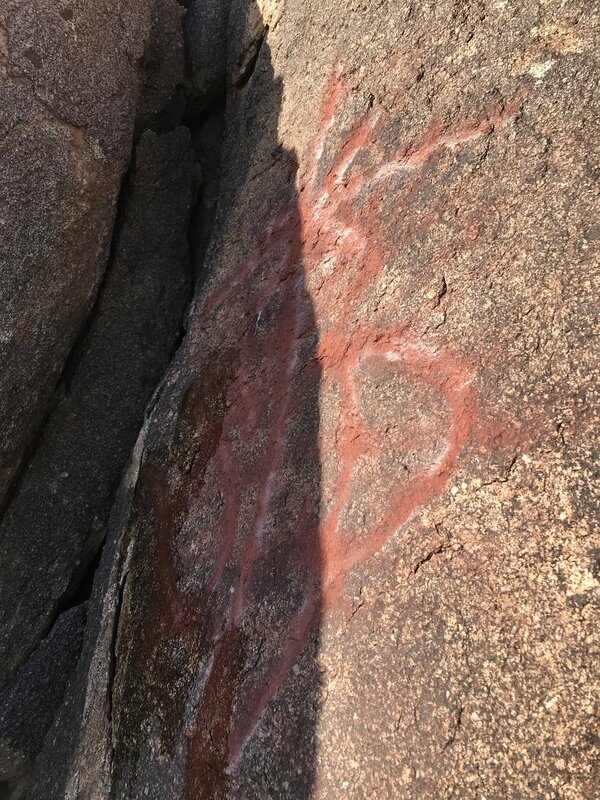 Unfortunately, we found several additional layers of coverup paint and graffiti, including latex paint, which is more difficult to remove. 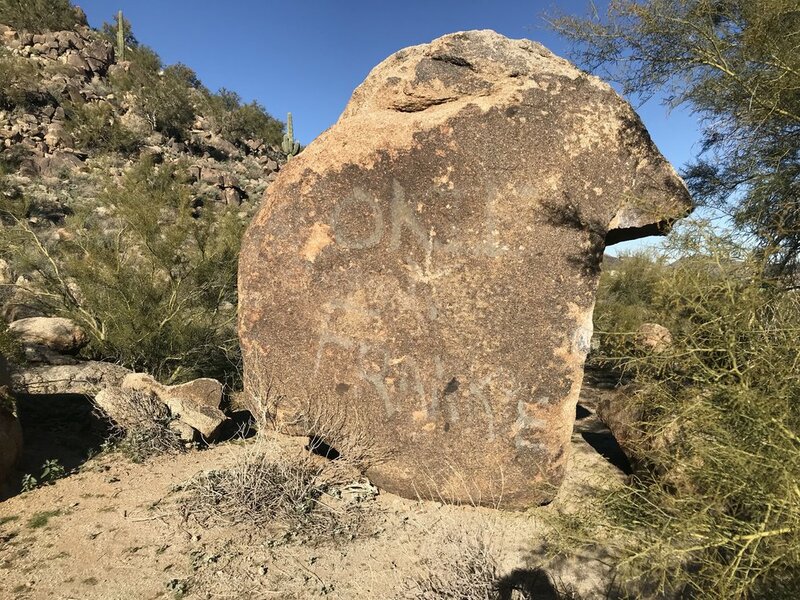 We returned on March 11th, March 17th, April 3rd, and April 4th, 2018 and removed over 1,260 square feet of graffiti, not including the multiple layers of coverup paint on several of the large boulders. 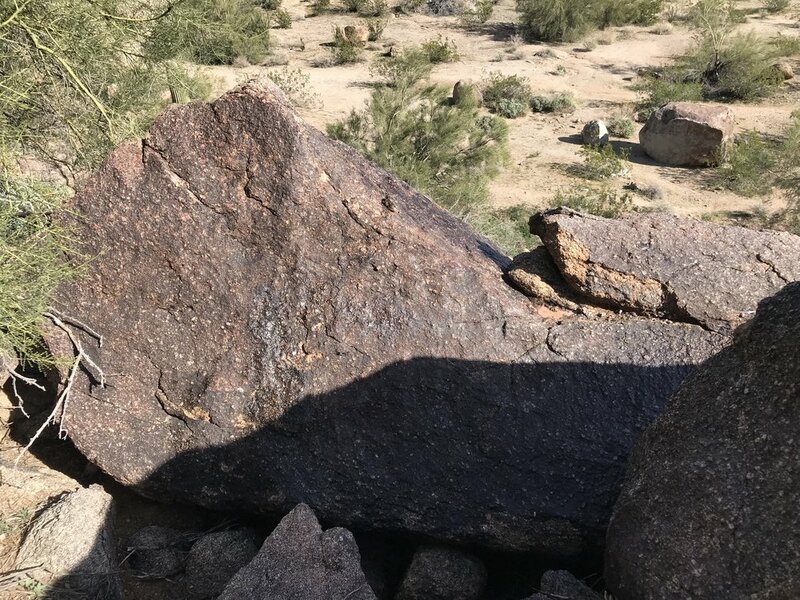 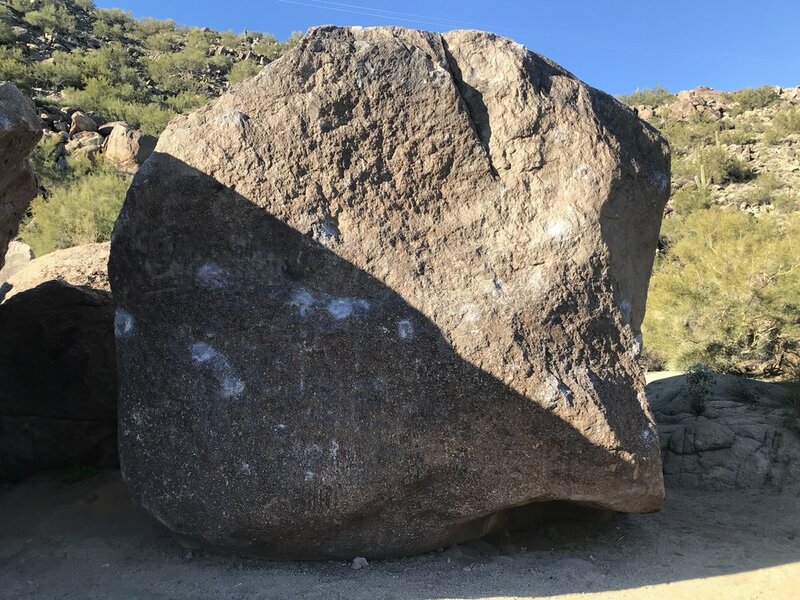 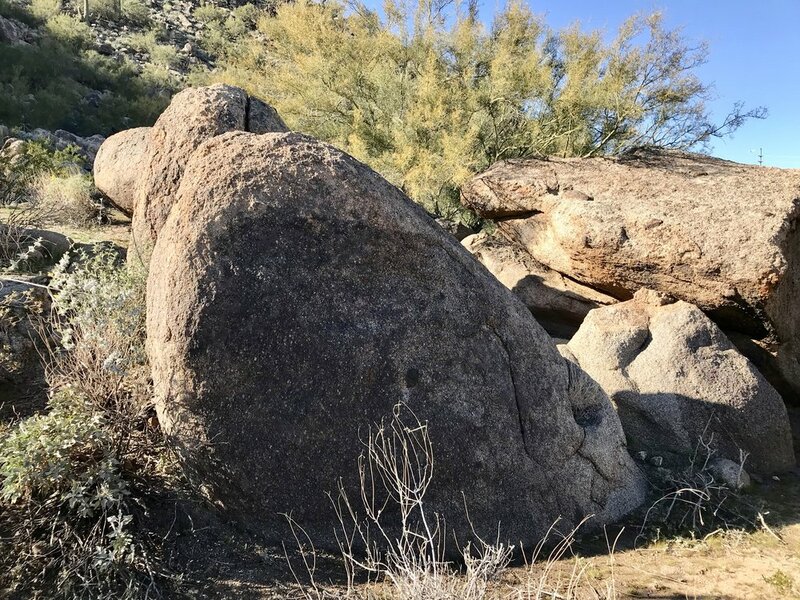 Once temperatures cooled down again, we returned to the Boulders on November 17th, 2018 and removed another 352 square feet of graffiti and coverup paint. 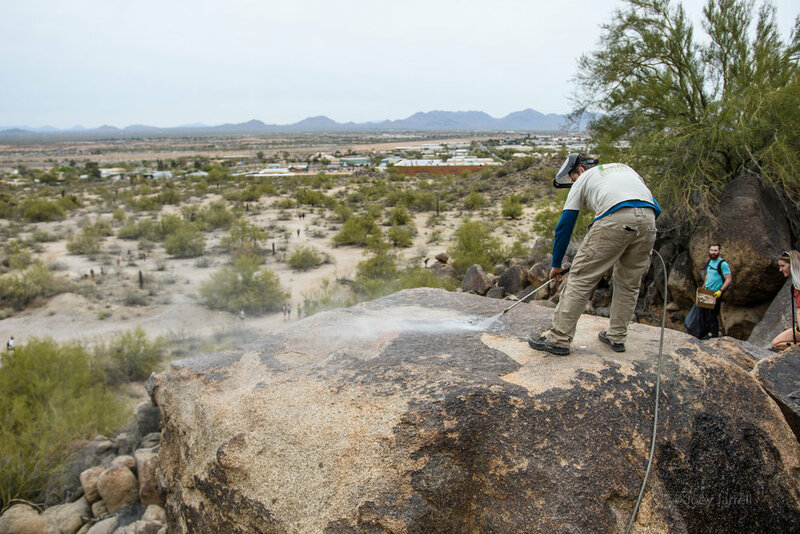 After the holidays, we went back on January 3, 2019 and removed 496 square feet of graffiti and coverup paint. 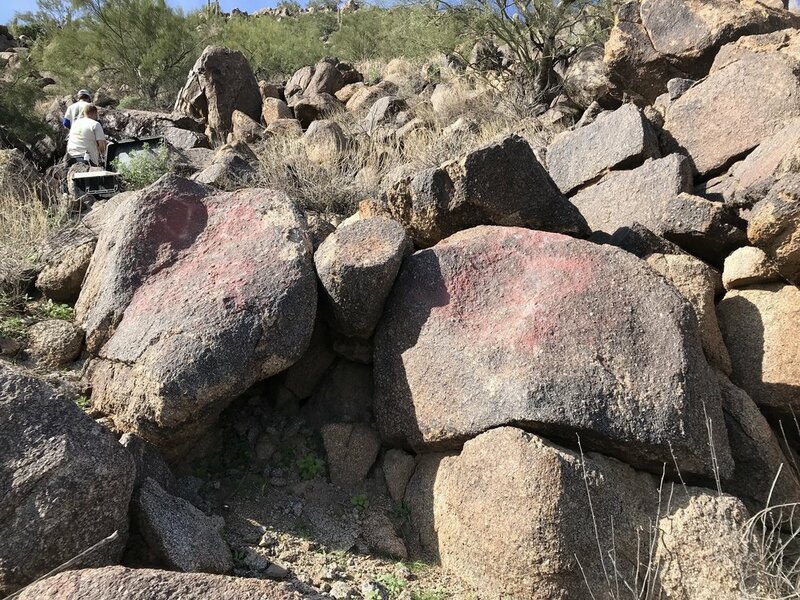 We are 90% complete with the project, however we ran out of supplies due to the extent of coverup paint and layers of graffiti in-between the coverup and we found additional coverups that we hadn’t identified in early 2018. 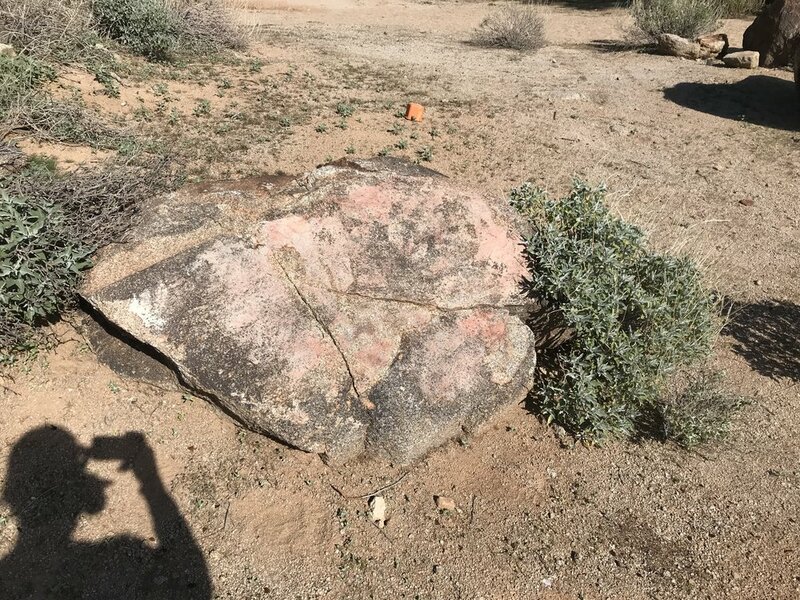 We are going to host a small fundraiser so we can go back and finish the rest soon, stay tuned! 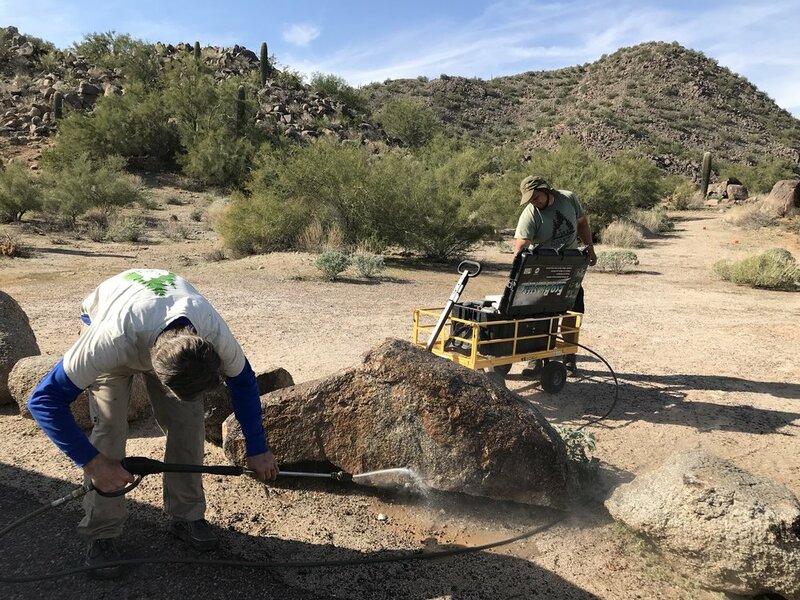 Thank you to Scott McDaniel and all of the volunteers and members of our Dedicated Restoration Team who have come out to help us on this project, we appreciate you so much! 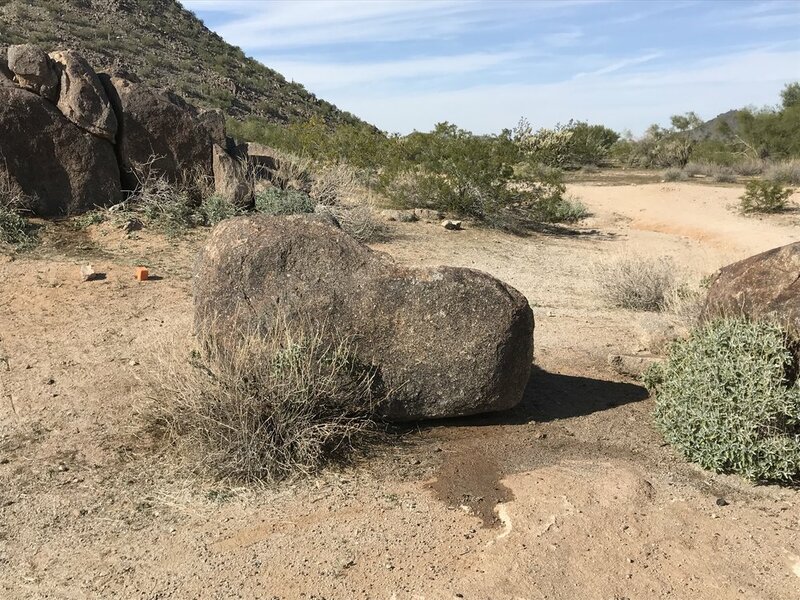 Some of the boulders were still wet when we took after photos. 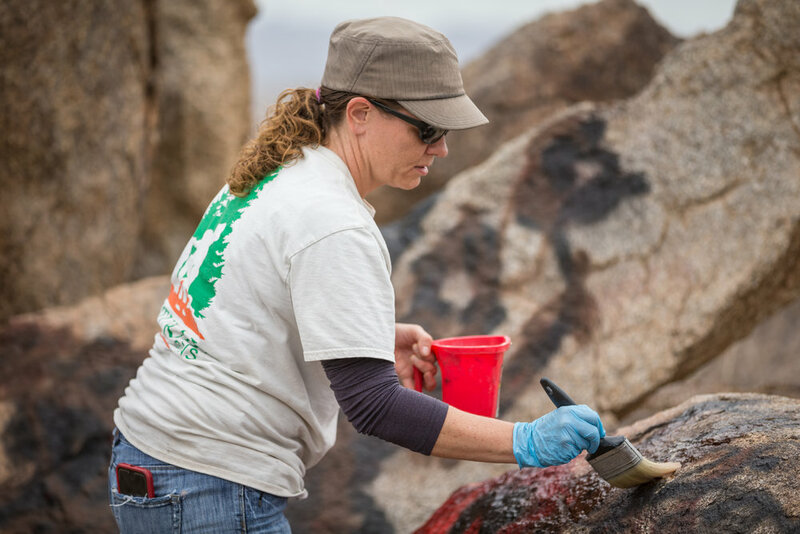 Removing graffiti coverups can be challenging because you never know what's underneath that first layer and how many additional layers are there. 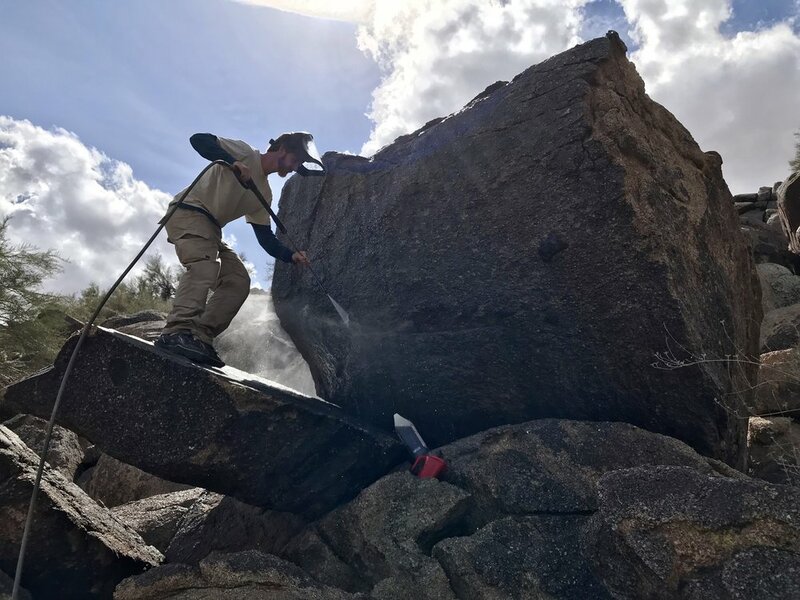 We are removing decades of graffiti and coverup paint on extremely large boulders (that's a 6 foot ladder in the pictures) and most of the boulders are completely covered in tan paint. 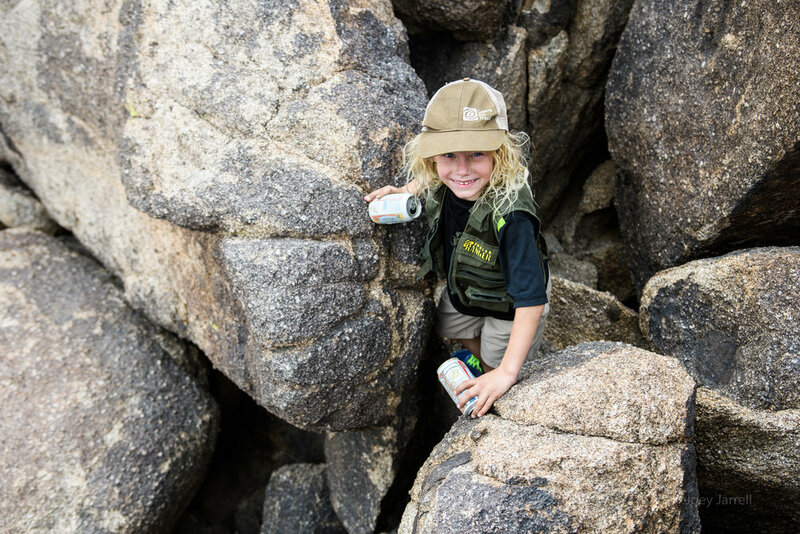 We still have some work to do and cannot wait to get back out there! 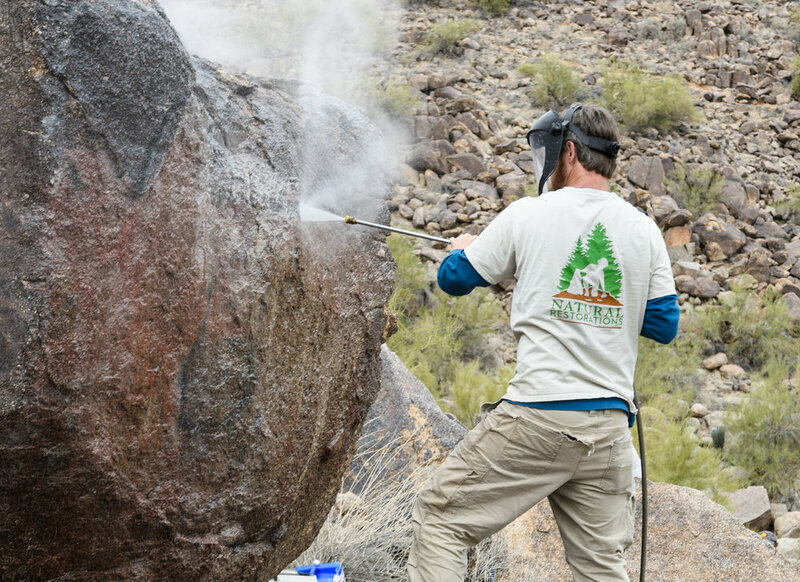 We proudly Graffiti Removal Products and the EcoBlaster Portable Pressure Washer & Water Source from World's Best Graffiti Removers. 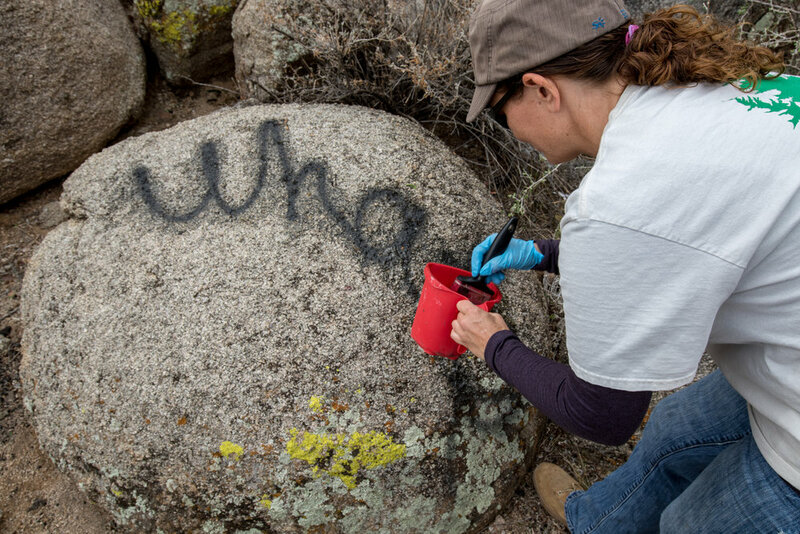 You can check out our other graffiti removal projects HERE. 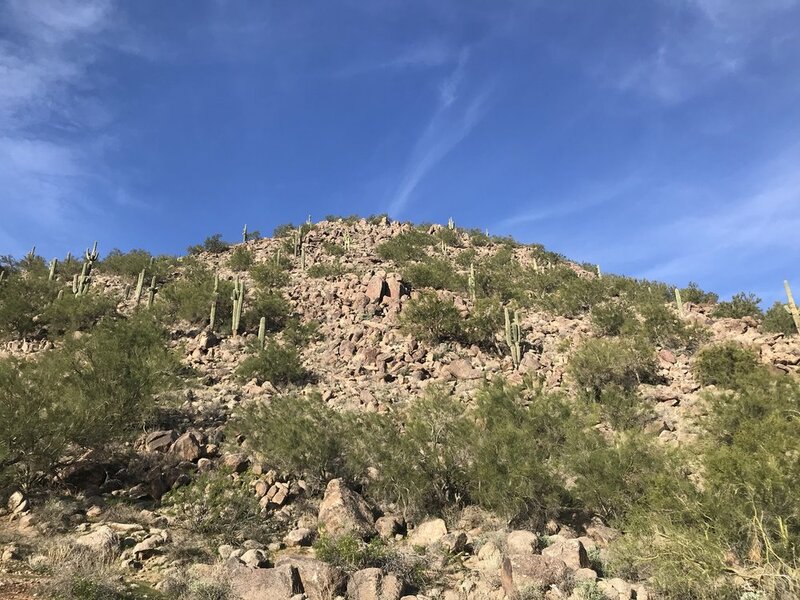 Thank you to everyone at Ascender Game Carrier! 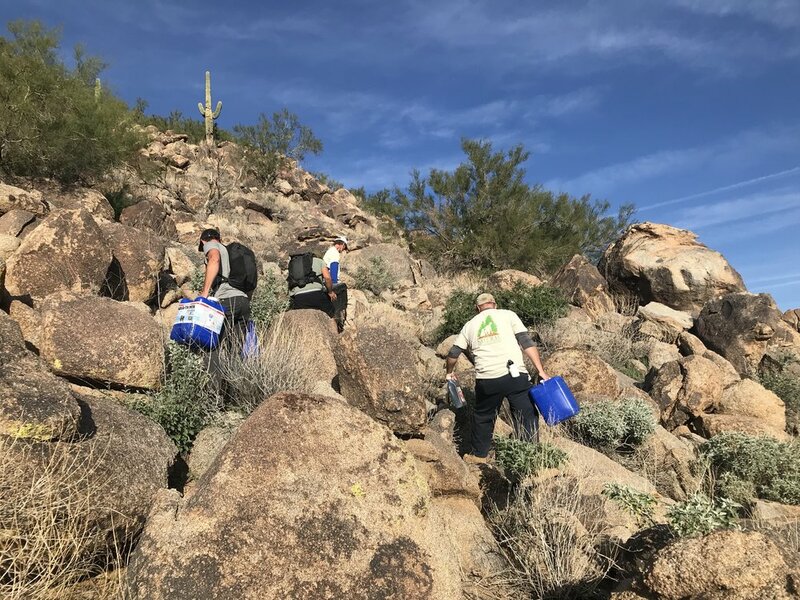 We carried four 58-pound jugs of water and our EcoBlaster Portable Pressure Washer with ease using our Ascender Game Carrier. 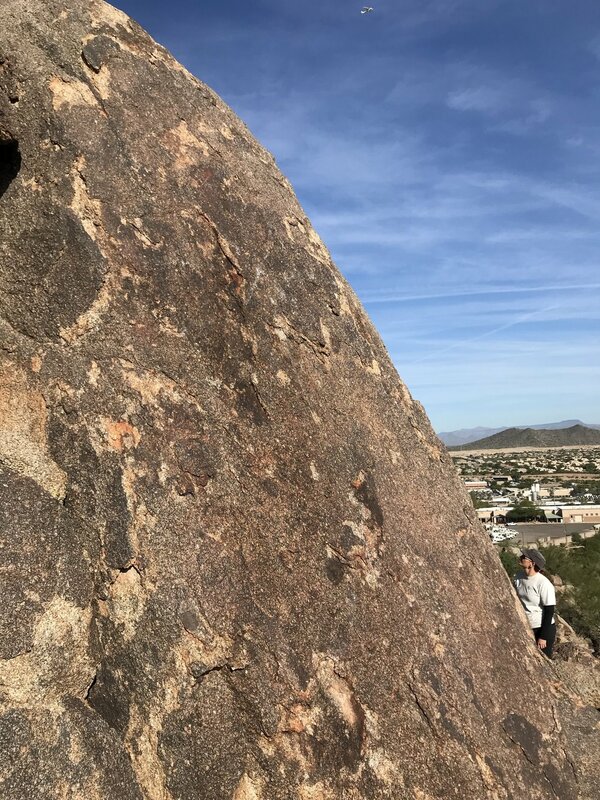 Beardsley Boulders 'Graffiti Cactus' is once again just a cactus with a little water, gentle brushing, meticulous scraping around the needles, and countless pokes to our fingers. 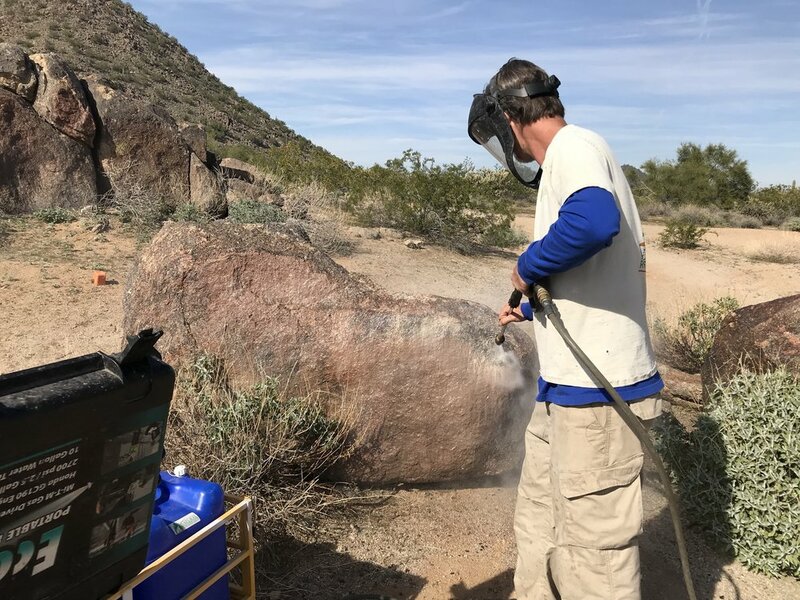 Thank you Scott McDaniel for your help! 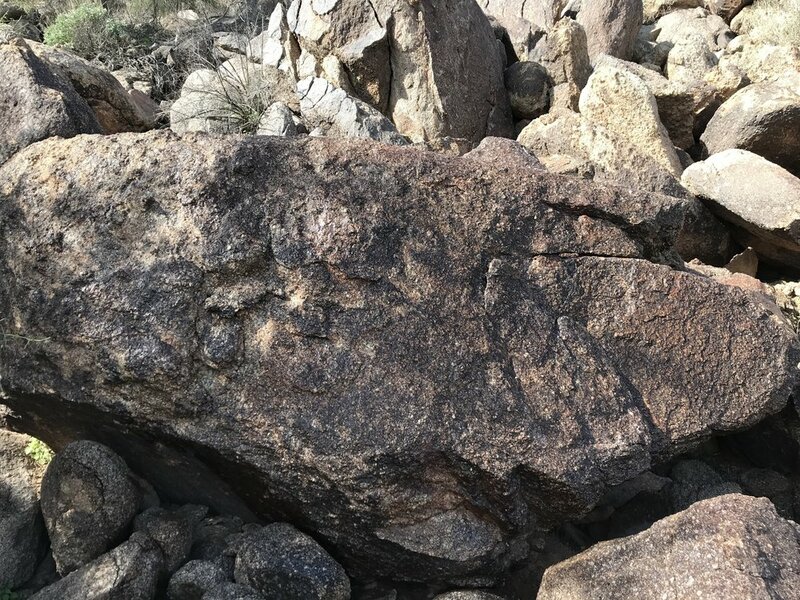 If you would like to help fund projects like this, click the Donate button below will link you to PayPal.